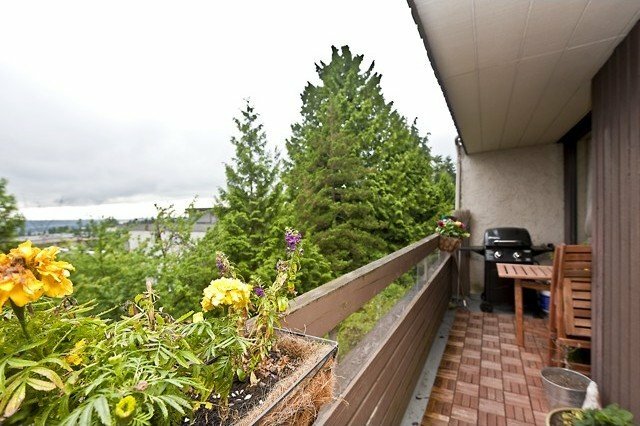 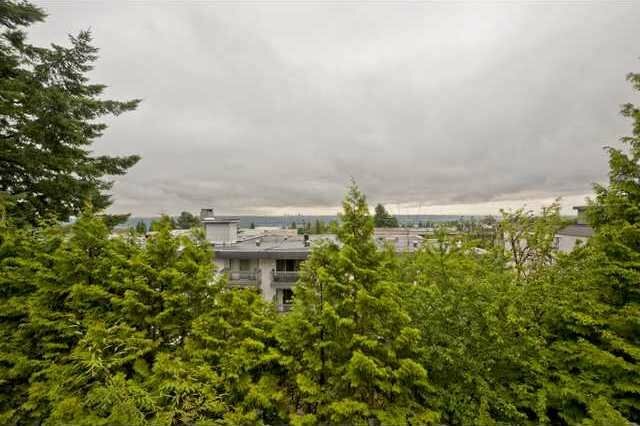 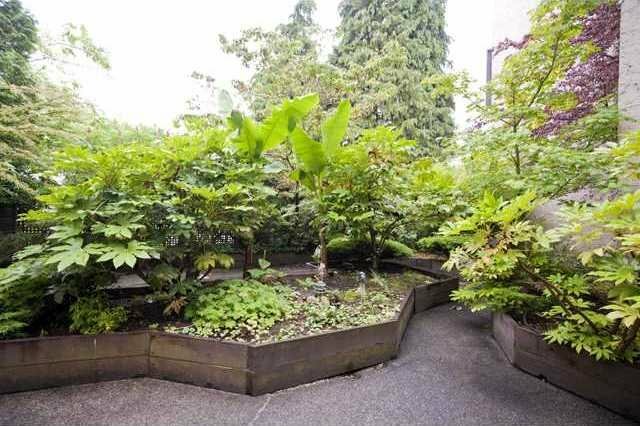 Top floor large 1 bdrm S facing suite boasting 12 ft vaulted ceiling & great views of the Fraser river & Mt Baker. 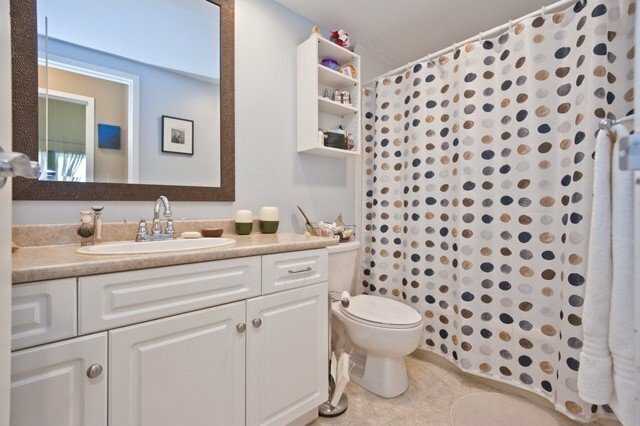 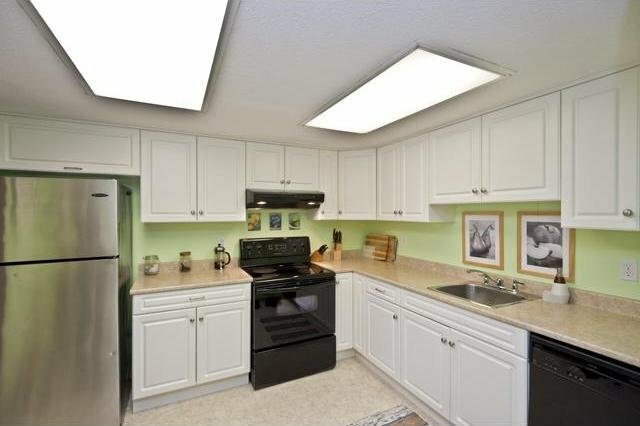 This renovated home has updated the kitchen with newer appliances & renovated bath. 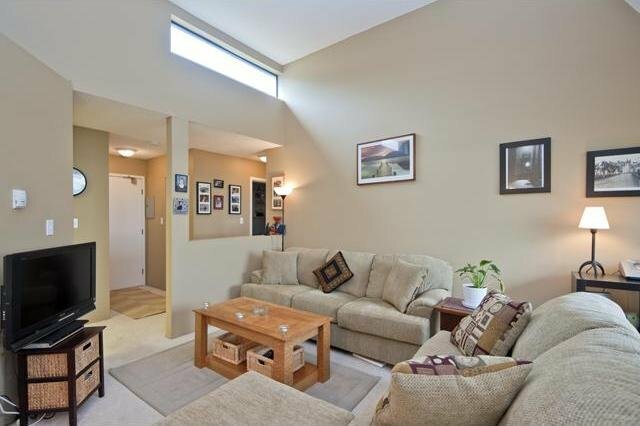 The bright open plan living & dining room also gives access to a nice size balcony. 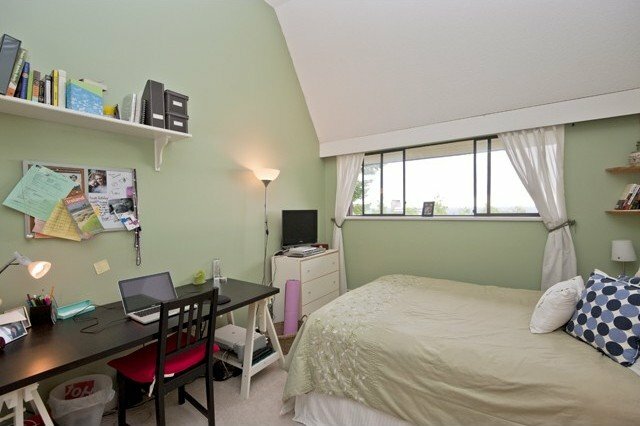 The master bedroom with vaulted ceiling also has a walk in closet & view. 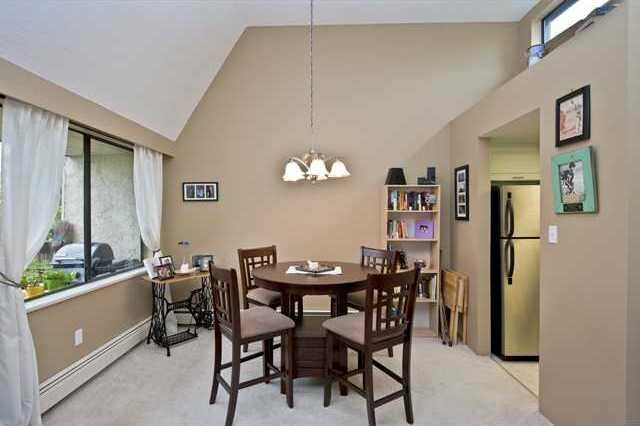 Insuite storage & separate storage locker also. 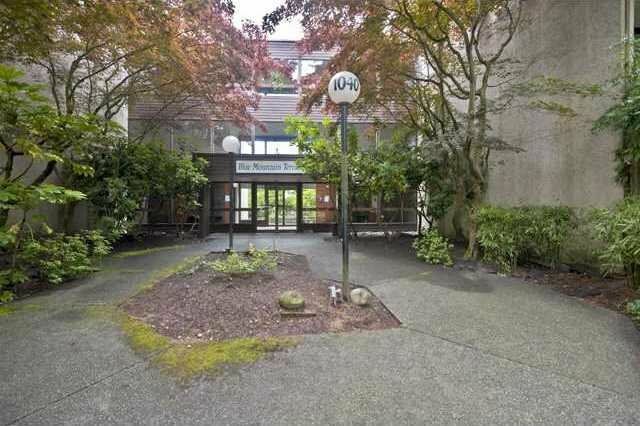 Main fee includes heat, hot water & gas, laundry avail on the same floor. 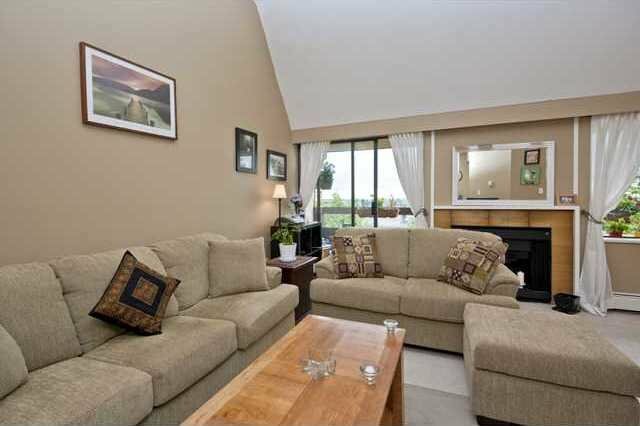 Located across from Blue Mountain Park, steps to shopping, transit & all amenities.